"” is a highly portable multimedia player and multimedia framework capable of reading most audio and video formats (MPEG-2, MPEG-4, H.264, DivX, MPEG-1, mp3, ogg, aac …) as well as DVDs, Audio CDs VCDs, and various streaming protocols. * "” is popular for its ability to play the video content of incomplete, unfinished, or damaged video downloads before the have been fully downloaded. (For example, still downloading via BitTorrent, eMule, or Gnutella). It also plays m2t MPEG transport streams (.TS) files while they are still being digitized from an via a FireWire cable, making it possible to the video as it is being played. This is because it is a packet-based player. * The player also has the ability to use libcdio to access .iso files so that the user can play files on a disk image, even if the user’s operating system does not have the capability of working directly with .iso images. * "” supports all audio/video formats and all file formats supported by libavcodec and libavformat. This means that VLC can playback H.264 or MPEG-4 video as well as support FLV or MXF file formats "out of the box” using FFmpeg’s libraries. Alternatively, VLC has modules for codecs that are not based on FFmpeg’s libraries. 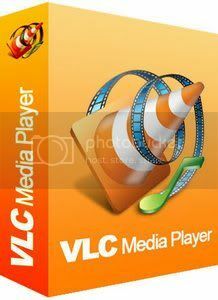 This feature is not unique to VLC, as any player using the FFmpeg libraries, including MPlayer and xine-lib-based players, should be able to play those formats without the need for external codecs. * is one of the free software and open source that ignores DVD region coding on RPC-1 , making it a region free player. However, it does not do the same on RPC-2 . *”” has some filters that can distort, rotate, split, deinterlace, mirror videos, create display walls, or add a logo overlay. It can also produce video output as ASCII art. * can play high definition recordings of D-VHS tapes duplicated to a computer using CapDVHS.. This offers another way to archive all D-VHS tapes with the DRM copy freely tag. * Using a FireWire connection from cable boxes to computers, VLC can stream live, unencrypted content to a or . * "” can display the playing video as the desktop wallpaper, like Windows DreamScene, but this feature is not currently available on Linux. * "” can do screencasts and record the desktop. * On Microsoft Windows, VLC also supports the Direct Media Object (DMO) framework and can therefore make use of some third-party DLLs. *”” can be installed and run directly from a flash or other external drive. * "” can be extended through scripting. It uses the Lua scripting language. * "” can play videos in the AVCHD format, a highly compressed format used in recent HD camcorders.